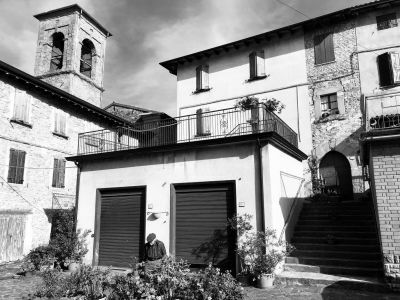 In the heart of the Appenino Reggiano, for sale a house to renovate in a historic building consisting of 2 apartments plus basement and attic. The main apartment of about 85 square meters on the second floor of the building consists of 1 large double bedroom, 1 large living room with fireplace, kitchen and bathroom. The second apartment on the ground floor of c. 60 sqm, consisting of 2 rooms plus bathroom. The property includes a large cellar and attic of relevance. The building located in Quara in the municipality of Toano, is very close to the main services such as supermarkets, bars, restaurants, sports fields (tennis, soccer, basketball). The village is located about 20 minutes by car from the Pietra di Bismantova and the main ski sites in the area (eg Febbio) .